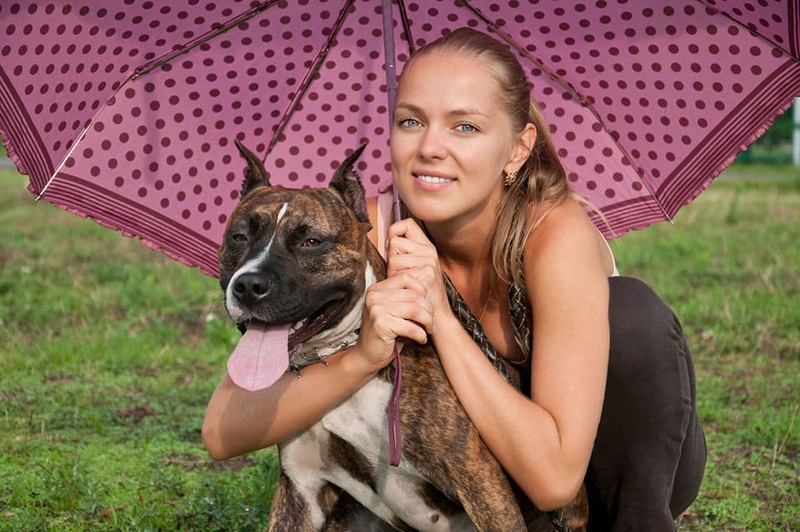 Home » Safety » How to keep your dog safe during the monsoon thunderstorms. 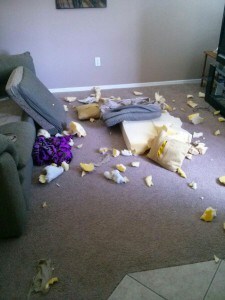 Most dog owners know what can happen to their brand new carpeting during a thunderstorm. 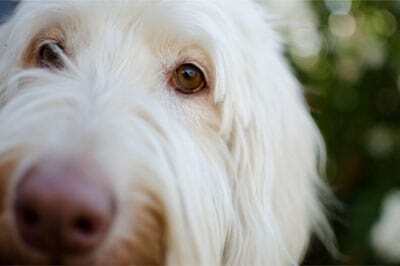 A dog’s sense of hearing is far more sensitive than a human’s, so fear of storms is common. Many dogs can sense a storm coming from the rapidly falling barometric pressure, so your dog may start trembling even before the storm can be heard. In addition to “accidents” on your carpet, some dogs become destructive when frightened, clawing at doors, burrowing under furniture, knocking over breakables or lit candles and chewing on valued non-edible items. Before monsoon season starts, create a special den-like area (usually a crate) in your home where your dog always feels safe and secure. Crate training is beneficial for both you and your dog, which has a natural instinct to den. If the crate is wire, covering it with a quilt will muffle thunder and lessen flashes of lightning. If a storm is brewing, lead your dog to his crate or special place to help him feel calm and protected. If you don’t use a crate, remove any items in the room which your dog could destroy. 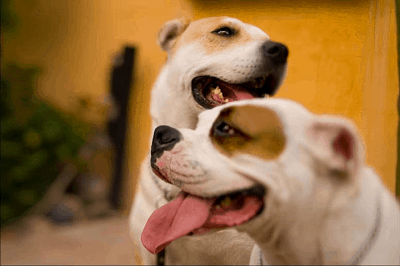 Dogs also pick up fear or discomfort with storms from their people, so when you, the pack leader have a calm, matter-of-fact attitude, it is a cue to your pet. Let your dog stay close and try to distract him with play. Do not try to comfort him in a sympathetic voice – this can sound like praise and may increase his nervousness and confusion. Result of a dog with anxiety left alone. Storm-fearful, stressed dogs can accidentally injure others or dart out the door and become lost. If you know a storm is coming, take your dog out for toilet chores early and keep and eye on him even in the back yard. In his agitation, he could dig, tunnel or jump your fence. During the storm, keep your dog away from the front and back doors. Keep windows and curtains closed to reduce noise and bright flashes. Turn on a TV or radio at normal volume to distract your dog from loud noises and help him to relax. Dogs that continue to panic when a storm approaches may have to be reconditioned by creating some artificial storm recordings. The use of a desentizing method along with confidance building, leadership training from a qualified dog trainer & behavioral therapist can help your dog learn to stay calmer during thunderstorms. In some cases, hollistic medication may be a good solution to help your dog cope with his fear of storms. Always consult with your veterinarian before using any meds as well as about possible treatments, in conjunction with training. Meds or holistic herbs alone are never the answer. 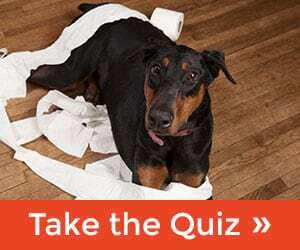 Getting to the root of the behavior and helping your dog learn to cope is the goal. Monsoons aren’t the only summer noise hazard for your dog. July 4th celebrations are great fun for people, but for dogs, fireworks are just as distressing as storms. If possible, stay with your pet during the fireworks. A dog often reacts more intensely to loud sounds and flashes of lights when you are not with him. 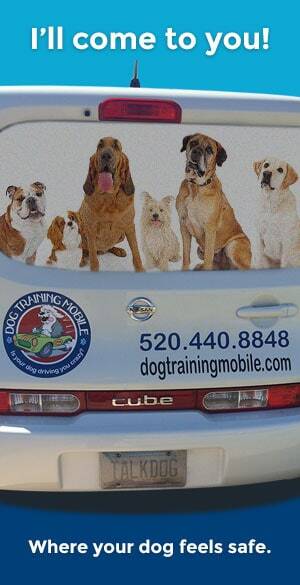 If you are going out, consider hiring a pet sitter to stay with your dog. I will be relasing a July 4th safety tips to help you and your dog very soon.